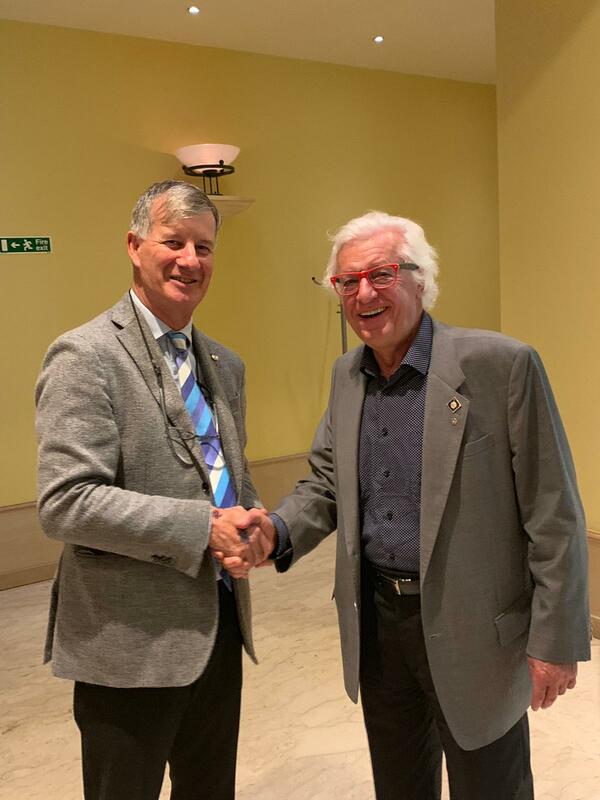 Rotarian Heribert Grünert, a long-standing member of Rotary Club Malta and a strong support of the Club's projects as well as a member who continuously sustains the Rotary Foundation, has joined the select group of Major Donors of the Rotary Foundation. 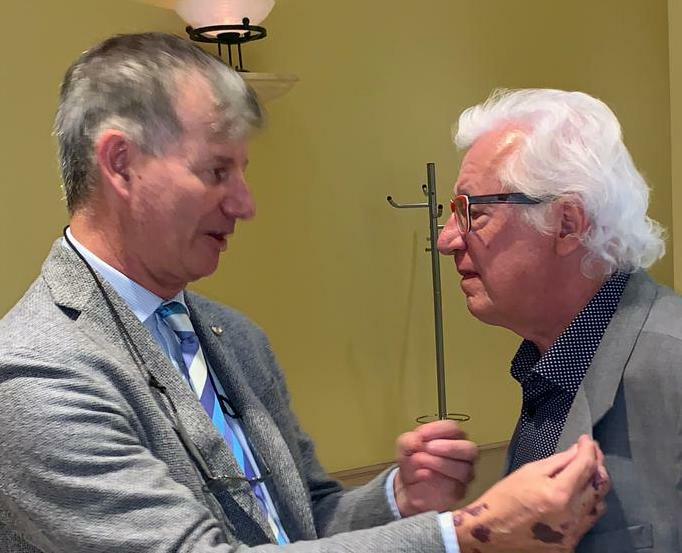 Although awarded this prestigious recognition in the Rotary Year 2017/18, Heribert was recognised and given his Major Donor pin by Past District Governor John de Giorgio in a ceremony during the Club's Annual General Meeting held on Monday 26 November 2018. Members who support the Rotary Foundation, either through donations to the End Polio Now campaign, or to the Foundation's Annual Fund or Permanent Fund become Major Donors once their cumulative donations exceed certain thresholds. Heribert has supported Rotary Club Malta projects both locally and overseas and has contributed to the difference that the Club has been able to make in people's lives. Heribert has recognised that it is our responsibility as Rotarians to support our Rotary Foundation that then is able to fund thousands of grants every year to assist in humanitarian projects that truly make a difference and result in a better world. Rotary Club Malta now has two Major Donors among its membership with a total of 10 Major Donors in our District 2110 of Sicily and Malta. The Rotary Foundation is recognised as one of the most reliable and transparent of the world's NGO by Charity Navigator, the charity rating organisation.